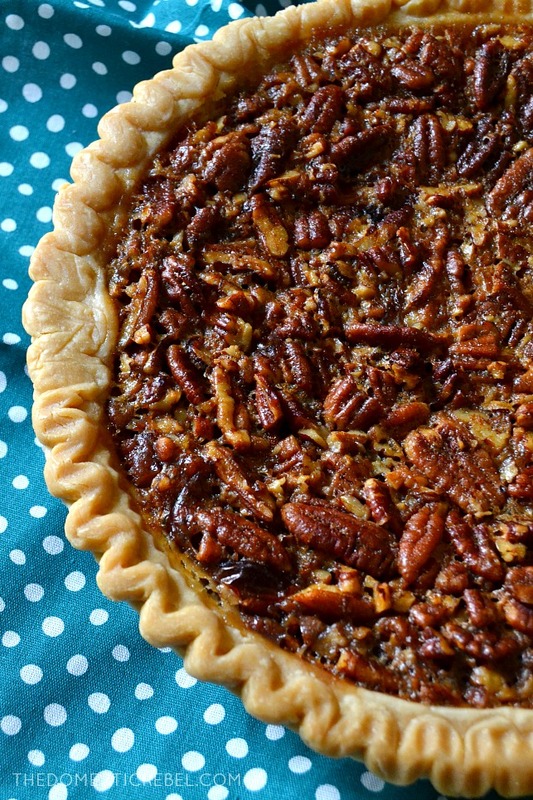 This is my dad’s FAVORITE Bourbon Pecan Pie! Super flavorful, gooey and ultra rich, it has a splash of bourbon that deepens the amazing flavor. 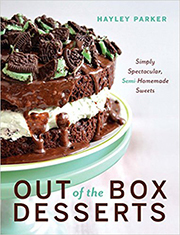 And if you wanna go all out, serve it with ice cream! I know you guys are probably in a Halloween candy coma right now, but it’s time to start thinking about Thanksgiving. Doesn’t it feel like time is going warp-speed this year, or is that just me swearing I just celebrated my birthday? (It’s in January, FYI). 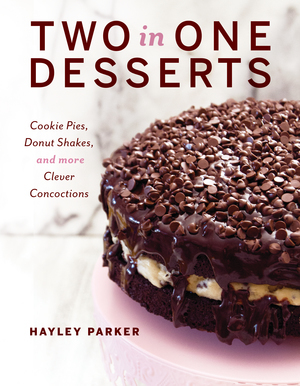 Since I relinquish my food duties to my grandma on Thanksgiving (except for the desserts, naturally), I use this time to brainstorm what desserts I’m going to make for the unofficial food holiday of the year. 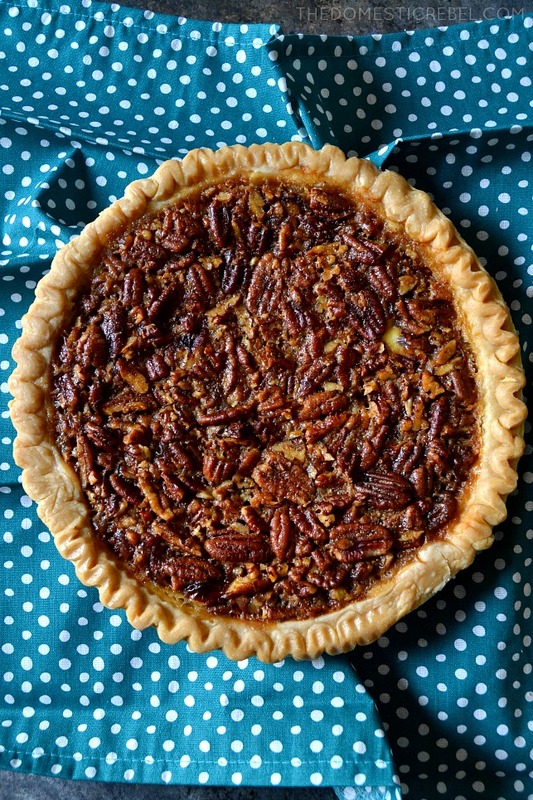 Usually I do something pumpkin – not necessarily pie, but something pumpkin-related or else there will be riots, something fruity (typically apple, because that’s my favorite), and of course: Dad’s Favorite Bourbon Pecan Pie. I remember the first time my dad asked me to make a pecan pie and I was SO scared. 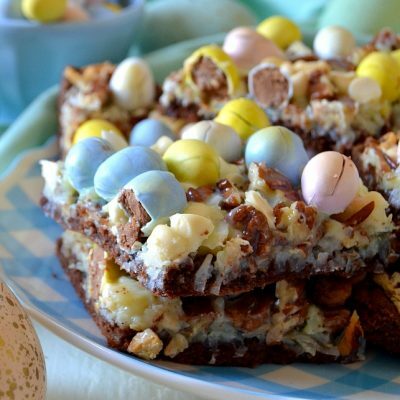 Something with the filling ingredients spooked me – corn syrup, eggs, all those pecans? I know, it was totally irrational but I was worried about making it. What if I goofed? Well, my dearest friends, this is a total goof-proof pie, dare I say. And that kick of bourbon is just incredible. Of course, you can omit that if say, you drank all the bourbon prior to pie baking (totally get it), but I love the depth of flavor it adds to the sugary, buttery, gooey pie filling. Likewise, you could omit the bourbon and add in a splash of maple syrup – OMG. I just died thinking about how good this would be with maple! But whatever you do, if you want to eat a la Mr. Parker, you must serve this with vanilla ice cream. I mean, it’s tradition for one, and for two, it’s stupid-delicious. 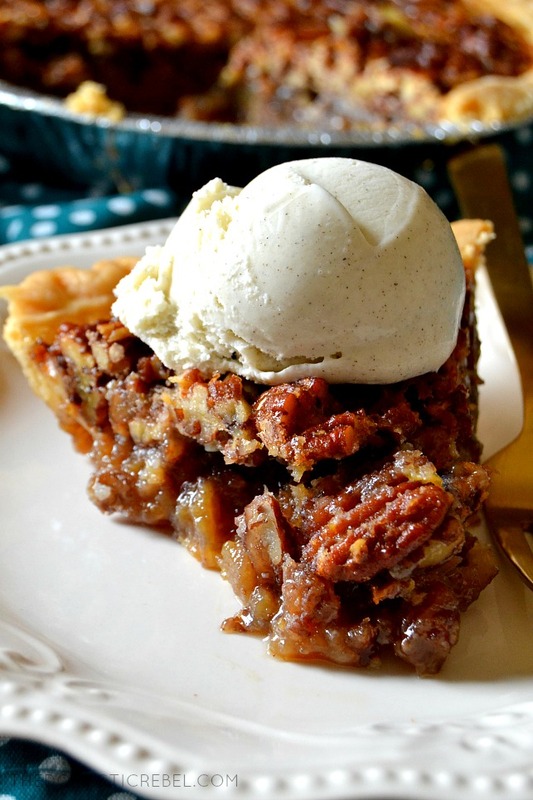 This is my dad's FAVORITE Bourbon Pecan Pie! 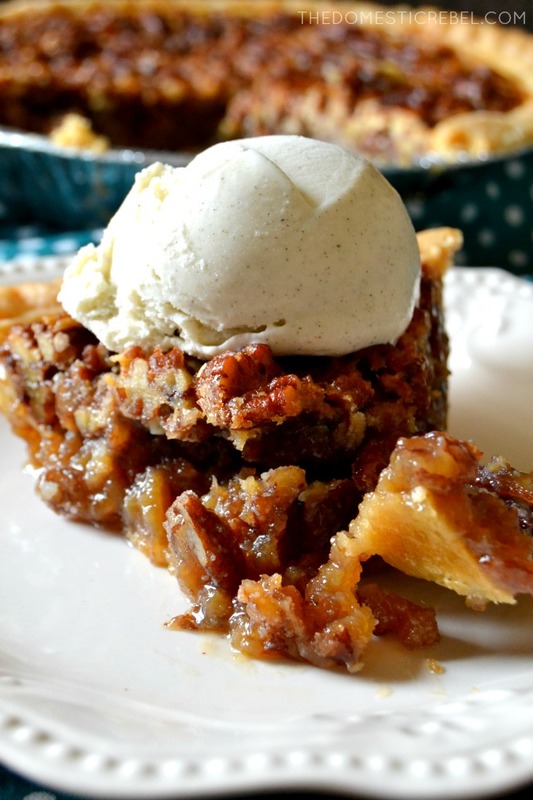 Super flavorful, gooey, and rich, it's best served with a big scoop of ice cream! Preheat oven to 350 degrees F. Place the frozen pie crust on a rimmed baking sheet to catch any spills while baking. Set aside. In a large bowl, whisk together the melted butter, brown sugar, eggs, corn syrup, bourbon, salt, and vanilla together until combined and smooth. Add in the pecans and toss to coat. Pour the pecan mixture into the pie crust. Bake for 30 minutes, then loosely tent the pie with foil and continue baking another 20-30 minutes or until the center is just about set (only very slightly jiggly or completely set). Cool completely, then refrigerate for at least 2 hours to firm up. You can serve it cold or at room temperature, but I recommend refrigerating for that initial 2 hours so it cuts cleanly. 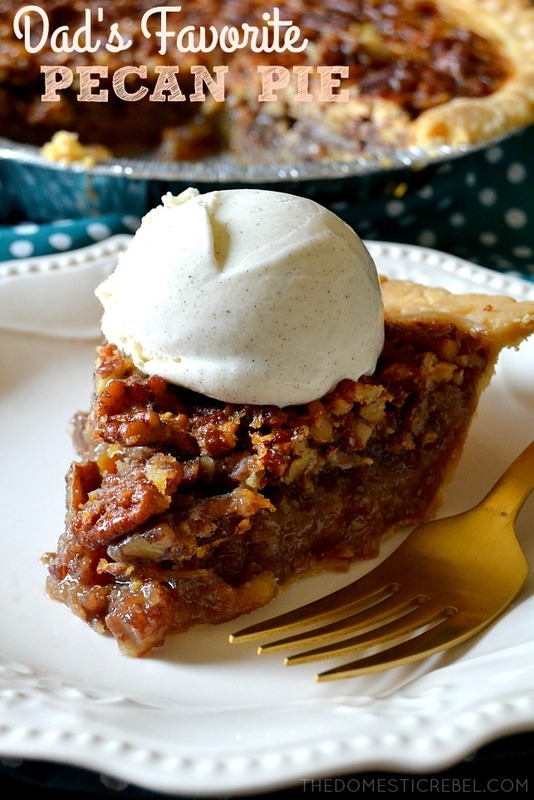 Gooey, nutty deliciousness! Hope you enjoy as much as this Parker family does! Crown royal came out with their “salted caramel” flavored liquor in time for fall. THAT would send this over the top with flavor…think I might experiment with that in this recipe. Thanks for the inspiration, my family loves pecan pie anything so this might jazz it up a bit.